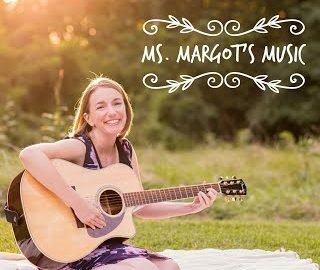 Thank you, Ms. Margot, for sending us your new CD, I AM FOUR FIVE SIX. Emma just turned six, so we got it just in time! 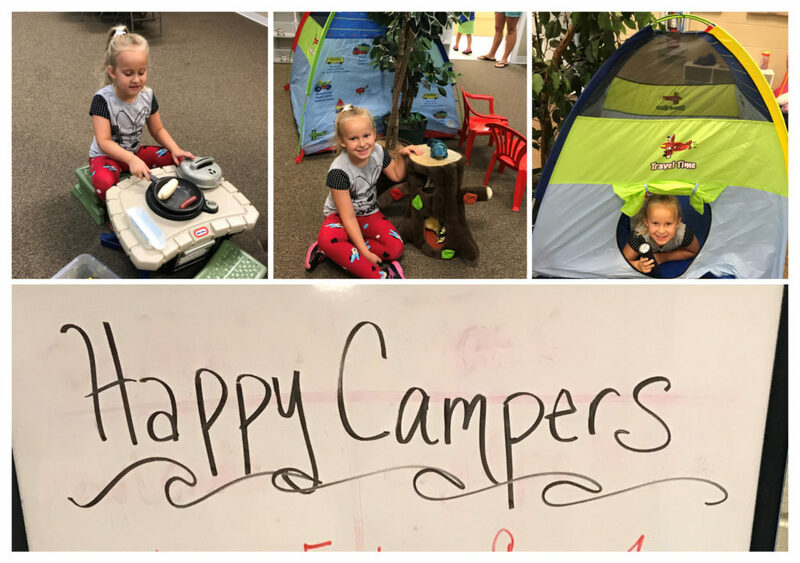 We love listening to music in the car, at bedtime, and especially when we put on shows in the living room. Music is a huge part of our lives! We appreciate you. 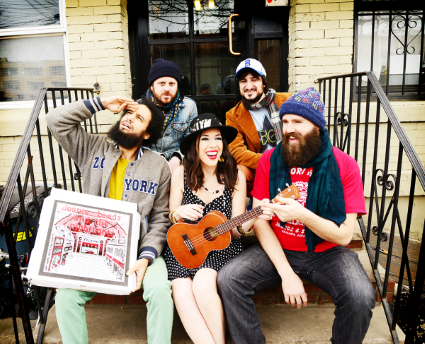 Check out tons of other fabulous musicians we have reviewed on Blog Mom Reviews. And visit my main site, Shanti Mom For One, for all things Yoga, Wellness, and Motherhood. Feeling Good with Chicago’s Mr. Dave! My family is headed to Chicago in July. Great things always come from Chicago, including Mr. Dave. What a unique sound. He’s Tom Petty for little people! We are partial to the slower and heartfelt songs…Song in All of Us, Questions, and I Will Share. We are always suckers for a great message and melody. 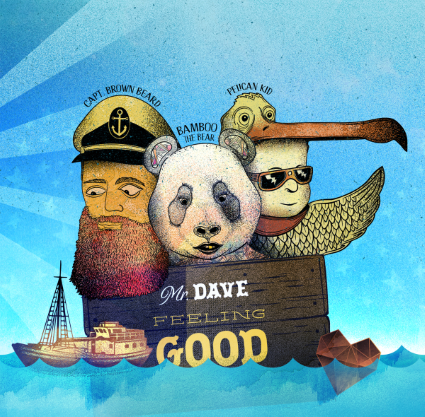 Mr. Dave’s new CD, Feeling Good, is available this Friday June 9th at CDBaby.com, iTunes, and the Mr. Dave Music Store. We’ll put it in our itinerary to stop by his store while we’re there. What fun! CHICAGO — Praised as a “celebrity to kiddos in Chicago and for good reason,” Mr. Dave (a.k.a. 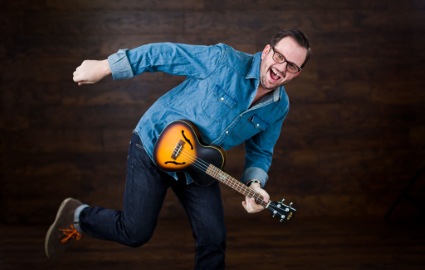 Dave Hamilton) is poised to take his place on the national kindie music scene with the June 9 release of his fourth kids’/family album, Feeling Good. Inspired by such artists as Kendrick Lamar, Paul Simon, the Beach Boys, Frank Ocean, and Dan Zanes, and produced by Grammy-nominated Jamie Candiloro (Ryan Adams, REM, Luscious Jackson, Willie Nelson), Feeling Good is a lyrical mix of upbeat, fresh, and funky tunes that are easy on adult ears and guaranteed to get the little ones movin’ and groovin’. Mr. Dave’s distinctive takes on vocal color, clarity, and balance at the mixing board, highly focused energy, and musical authenticity shine throughout each track. The roots of Feeling Good’s irrepressible charm grow deep in the soil of Dave Hamilton’s career as lead vocalist/guitarist with the acoustic funk band 56 Hope Road. For six years, beginning in 1998, they toured the country hitting home runs on the jam band scene, were named #1 Road Warrior Band by renowned online musical resource, JamBase.com, and gained national attention for their energetic live performances and relentless tour schedule that included hundreds of solo shows, as well as opening for such artists as Stevie Wonder, Dave Matthews Band, Page McConnell of Phish, Tom Cochrane and Red Ryder, Devon Allman, Spyro Gyra, Verve Pipe, Bob Schneider, and more. Imbued with themes of love, learning, positivity, and activity, Feeling Good revs up the fun-o-meter with “Bamboo the Bear,” a Paul Simon-esque number that’s especially easy for kids to sing along with. Inspired by Kendrick Lamar, “Street Smarts” has lots of good information about urban safety, all delivered with an unbeatable beat. “Pelican Kid,” with its focus on diversity and acceptance, is packed with personality to the max, mixing rap and melodic elements. Influenced by the Beach Boys, “Two Wheels,” a 21st century surfer song, rides the waves of universal appeal, and the album’s title track, with a tip-of-the-hat to Dan Zanes, is an exuberant dance tune that sports a jolly, country sound. 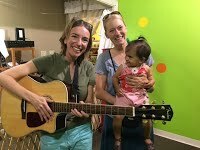 In 2016, Dave and his wife, Christina, opened their own children’s music studio, Mr. Dave Music, in Chicago, with the goal of bringing the joy of music into the lives of children, families and adults by providing culturally responsive instruction and creating a warm and authentic educational experience. Mr. Dave Music is committed to innovative programming that fosters creativity and celebrates diversity through the power of music. Previously released Mr. Dave albums include Come On In (2014), It’s Mr. Dave (2009), and Mr. Dave (2000). Feeling Good will be available at CDBaby.com, iTunes, and the Mr. Dave Music Store, 1935 W. Division St., Chicago, IL 60622. Visit Mr. Dave’s website HERE. Joanie and her Nightlights ride the Subway, get a Library Book, and enjoy some good Pizza in their new eclectic collection, Brooklyn Baby! Each song takes you by surprise with its tempo, style, and lyrics. You never know what you’re gonna get and we love it! 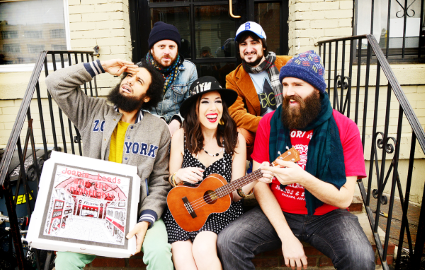 They bring the tempo down with the soft sounds and lovely lyrics in Brooklyn Baby and Love is Love. Their messages of love, acceptance, and world peace make this CD one of our all time favorites. Well done, Joanie Leeds and the Nightlights. We appreciate you. Jump and Jam with Dana! This Friday, April 14th, you and your little ones can jump and jam with Dana! Dana’s Best Jump & Jam Tunes will be available from Music Playground, as well as a series of music videos and a concert in Bellingham, WA. This collection is perfect for the family living room dance parties, pre-school circle time, and just jammin’ in the car on summer vacation. Thank you to Sugar Mountain PR for our complimentary copy in exchange for this review. “Blaine, WA, March 15, 2017 – Dana, a singer, songwriter and educator whose music has earned 17 national awards and acclaim from critics and families alike, leaps back into the scene with a brand-new collection of action songs for kids:Dana’s Best Jump & Jam Tunes. The album will be available from Music Playground, Amazon and iTunes on April 15. Dana will celebrate the release with a series of music videos and a “Movin’ Musical Party” at the historic Mount Baker Theatre in Bellingham, WA, also on Saturday, April 15. Through her five critically lauded albums and national tours, Dana has built a reputation for inviting youngsters to get off their screens and up dancing, jumping, playing and singing. Dana’s Best Jump & Jam Tunes is her sixth highly interactive album release featuring 12 songs designed to get kids ages 1 to 7 up and moving, grooving and laughing. 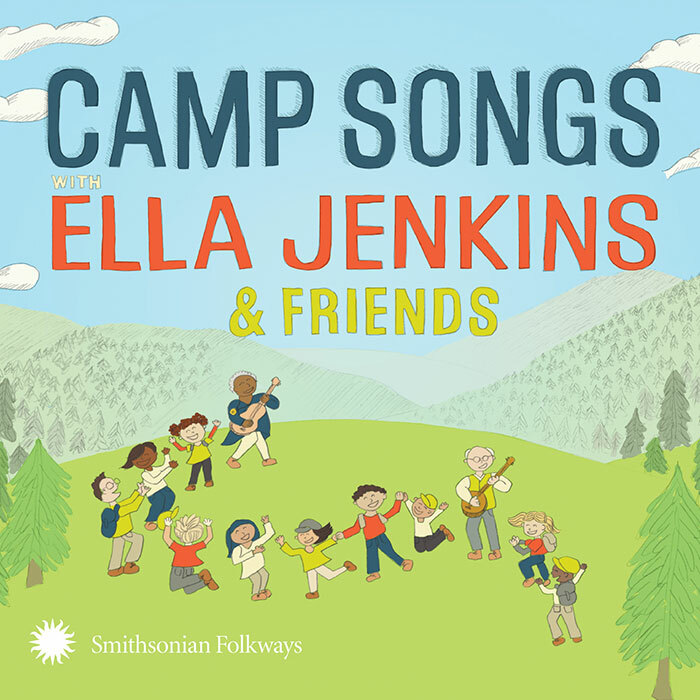 Wordplay, catchy melodies, and top-notch musicianship make this an engaging album for the whole family to enjoy together. 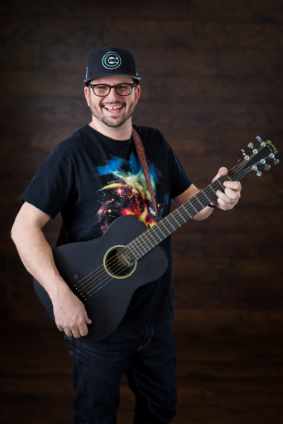 Produced at Beaird Music Group Studios in Nashville with top session players,Dana’s Best Jump & Jam Tunes offers a “musical party” of sound, featuring various genres, from rock to bluegrass, jazz, country and pop. 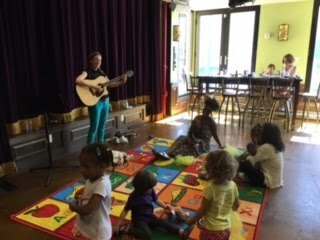 Inspired by her 20-plus years of working with children and her own experiences as a mom, Dana Cohenour wrote these songs with preschoolers in mind while respecting adult ears in production and musical styles.